Hyundai is teasing their all-new compact sports coupé, codenamed FS. 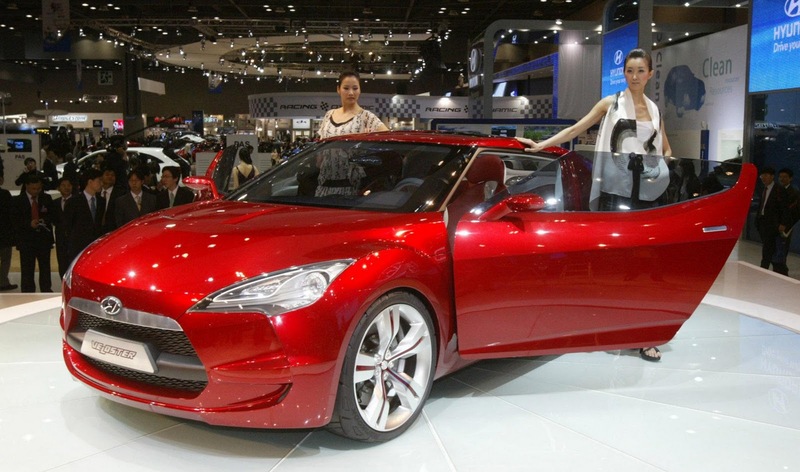 The FS is essentially a production version of the Veloster concept, which debuted at the Seoul motor show in 2007. 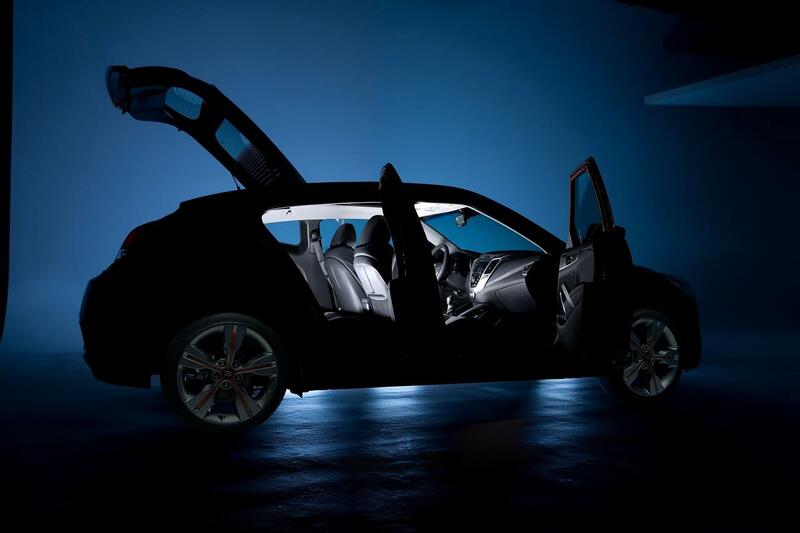 Before debuting at next week’s Detroit motor show, Hyundai has released a few teaser photos and videos of the newcomer. The car sports an unusual layout; a single door is on the driver’s side and the passenger side receives two normal doors. Hyundai said this layout is the same on both left and right-hand-drive models. According to Hyundai sources, the Veloster may be “priced between the Renault Mégane Coupé and VW Scirocco”. Hyundai portray the car as combining “the style of a coupé and the practicality of a hatch; we call it a utility coupé”. The styling of the production model will mirror the Veloster concept, meaning the remarkable LED head and tail-lights and black A-pillars will feature. The design is expected to attract younger customers, especially men who value style and space. The FS will have much better interior materials and will use a new centre console design that unites the climate control switches and touch-screen. The 7” screen can be connected to many gadgets, like iPods and PlayStations. The stereo will include Gracenote database, which can access your music and is named and organised alike to iTunes music store. The Veloster will be build on a modified platform of the front-wheel Kia Cee’d. At first, the FS will be available with two different 1.6 litre petrol engines. The entry-level 130bhp produces 158Nm (117lb-ft) of torque, while the slightly more powerful GDI engine kicks out 140bhp and 167Nm (123lb-ft) of torque, which hooked to a 6 speed manual gearbox. The latter will be available will a dual-clutch transmission, in which engineers expect 5 – 6% better economy than would be achieved with a manual gearbox. The 1.6 GDI will return 48.7mpg UK/40mpg U.S/5.8l/100km. At a later date, a turbocharged 1.6 GDI developing 205bhp will be offered on the flagship trim-level on European models. This is expect to arrive in late 2012, after production of UK models commencing in August 2011. The Veloster will be obtainable with equipment like panoramic glass sunroof, keyless start and entry, premium sound system, and heated seats. Look out for an entry price of £19,000.